Frank About Women is a global think tank with a mission to make advertising and communications more effective, relatable and enjoyable for both advertisers and women. We investigate the far from obvious, challenge assumptions and deliver provocative insights and ideas that help brands build meaningful relationships with real women. 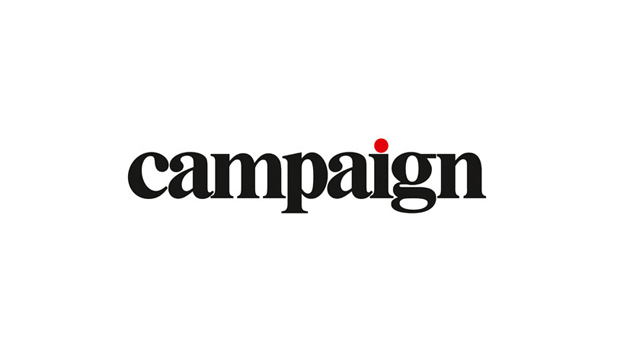 Frank About Women was founded 14 years ago by MullenLowe with a mission to help marketers better understand how to connect with women through creative, effective communications. Women are expected to control two-thirds of global consumer wealth in the coming decade, but nine out of ten women feel that brand communication strategies often fail to connect with them in the right way. This gap in communications was the impetus for the initial development of the Frank About Women brand and consultancy to address the issue head-on. Mums still control up to 85% of home purchases and wield an estimated annual buying power in the trillions. By 2017, spending in the baby care category is set to reach a phenomenal £46 billion, as well as £24 billion in China. 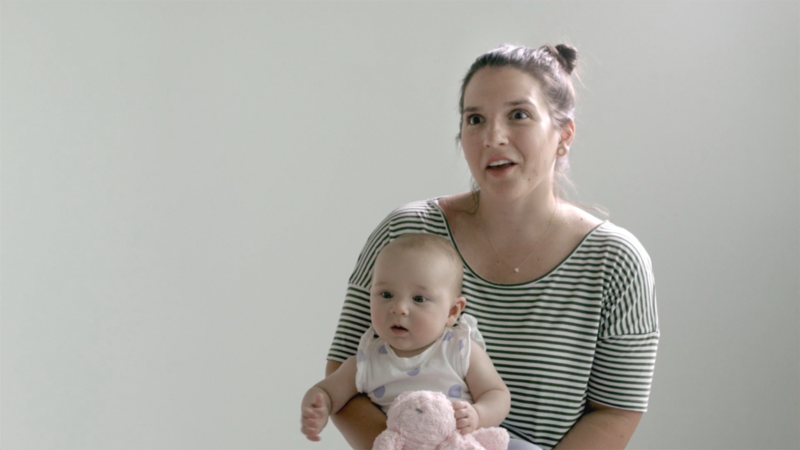 Brands cannot afford to base their marketing strategies on perceived wisdom; a nuanced and empathetic understanding of mothers’ wants and needs is vital. With that in mind, we set about exploring all aspects of the experience of motherhood; from her private worries and external pressures to the brands and products she leans on for support. While some things remain universally true, we uncovered a variety of market differences which reveal a diverse picture of motherhood and mums’ lives beyond parenting. CHIEF STRATEGY OFFICER - U.S.
She’s deep into her second career, having started her professional journey as a chef, owning a restaurant and event planning company. Fun fact? Building a strategy for someone’s big life event is not really that different from creating a strategy to move brands into the future to maintain relevancy. She’s obsessed with upcycling. She believes each object tells a story, and she’d rather her things tell a multilayered, complex story, a Samuel Beckett, rather than a William S. Gray/Zerna Sharp. And yes, that is just her rationale for the uncontrollable urge to stop at every garage sale and flea market she passes. She’d like to think her taste for the finer things in life led her to the great brands she’s worked on — Audi, Wells Fargo, Holland America Line, Microsoft, to name a few. She graciously accepts that she’s just had great luck. Her obsession with upcycling has created a ridiculous collection of vintage jewelry. Hey, what’s old is new again! She feels fortunate to see the world through the eyes of her two wonderful young daughters. Sometimes she doesn’t like what she sees; not always, but sometimes. And that’s more than enough for her to look for ways to make a difference in how women view themselves and other women—marketing plays a vital role in how our society views the role of women. She comes from a long line of noisy Irish women with an unmistakable ability to tell the inconvenient truth — always with a sense of humor, of course. It’s no coincidence that she thinks Tina Fey and Amy Poehler are awesome or that she’s recently started taking improv classes. 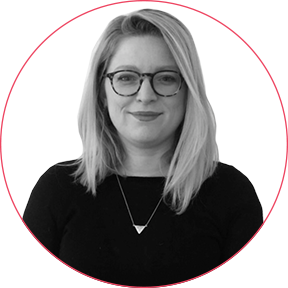 She’s been an eager account handler, client and now planner across some of the UK’s biggest household names and always at the heart of family life. She’s won awards for her work at ITV, The X Factor, Carphone Warehouse, Land Rover and Britvic. She’s not afraid of what’s new and is gauranteed to approach “content developing,” “activation” or making a good old-fashioned TV ad with the same energetic enthusiasm. She has had Type 1 diabetes since her teens and is an NHS “Expert Patient” who pitched for her own wireless insulin pump. 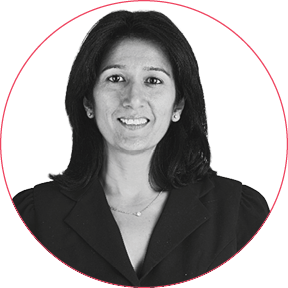 She has a passion for democratizing medicine — especially for women and those who live with a chronic disease. She was the first-ever SWANK in her family and sometimes feels like a bit of a pioneer. She’s excited by the idea that women now have the chance to be the innovators and make the rules for themselves. She is the daughter of a general, so is our resident “military brat.” She attended 16 different schools and lived in nine different cities around Columbia, Brazil, Venezuela and the U.S. For her, growing up in a mobile community offered the opportunity to understand different cultures — she grew up being a natural “ethnologist.” This is why some people call her Urbina … and because Marialejandra is too long and hard to pronounce. She has had the good fortune not to have “bosses” but to have “mentors.” You may need to Google their names: Farida Kbar, Andy Halley-Wright, Bernardo Geoghegan, Francisco Samper and José Miguel Sokoloff. They are all guilty of making her into the type of planner she is today. She has been working in advertising since 1990. 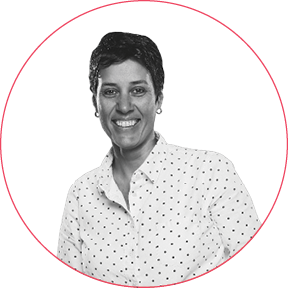 She began working in a small agency as account executive, until 1998 when she transitioned to planning after an internship with Merry Baskin at JWT London. 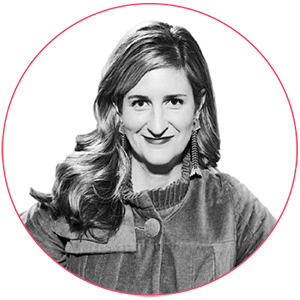 In 25 years she has worked for small and big brands — from local brands to household names like Coca-Cola and Ford. Marketing to women is not about knowing what they do; it is about WHY they do it. The path to finding “why” a woman does something, no matter her age, race or nationality, is quite an adventure. She is naturally curious about people and things, and she loves to dig out the connections between people and brands. 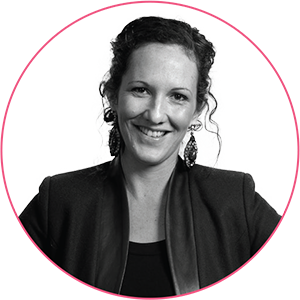 She is passionate about how to impress people and solve brand problems and she found her calling in the advertising industry. Her hero is Sherlock Holmes because he is really good at observing people and analyzing things, then figuring out the truth. Of course, his only weakness is that he is emotionless. 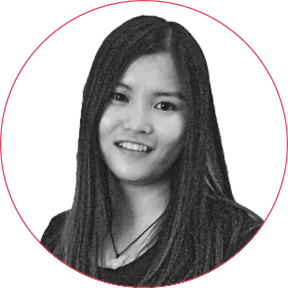 She has loved working with diverse clients including Nestlé, Chani Airport, Guerlain, Lei Shing Hong and Anta. She is crazy about photography. It is a unique way to observe and record the different sides of people and the world through the camera lens. It’s also a great way to capture a moment of beauty and share it with others. She is naturally curious about herself, her mom, her female friends and other women. She believes women are a powerful group that is changing the world. Navigating how communication can influence and impress women has never been more important or more interesting. Brands are angels in disguise … Solving problems and spreading positivity. In her 20+ year career, she has taken detours to television and management consulting, only to return to her first love of advertising. Nothing is as fulfilling as the opportunity to be invited into the lives of random strangers — to be inspired by their inventiveness in life. It is people who create opportunities for brands as much as brands help people. Driving on the dizzying Trail Ridge Road of Rocky Mountain National Park or encountering elk in the mountain paths … that’s her essential dose of life vitamins! Yes, the world recognizes that women nurture the home and it’s inhabitants but the world is yet to acknowledge the deep contribution women make to society in not-so-obvious ways. Frank About Women aims to help brands open up fresh and genuine pathways to inspire and appreciate women. She could probably write a book on the art of multi-tasking. With 3 kids under 6, a full-time job as Managing Director of an advertising agency, Executive Board member of a leading children’s festival, the all important role of ‘Mum’s Taxi’ and everything else that pops up in-between, it takes some serious planning expertise to remember just to pack school lunches most weeks. She has had the pleasure of strategizing, crafting, analyzing and creating brands from many different points of view – as a client, a researcher, innovation specialist, planner and now as a behavioral strategist. She gave up a career in classical music for her first job in marketing and hasn’t looked back. And while she still plays when she can, her repertoire these days is more along the lines of ‘Old McDonald has a Farm’ rather than Mozart. She dreams of the day when a full night’s sleep isn’t a rare treat. She is ‘Mum’ in the agency but more importantly, a voice for women in the work it produces. And now with a young daughter she is even more committed to making a positive impact on the way society views the role of women today. “We have a hard time practicing self-love” in the US, said Shaun Stripling, chief strategy officer and global director at Frank About Women, the MullenLowe “think tank” that conducted the study. “We have a hard time understanding that part of our role as a mom is to be healthy and take care of ourselves, too.” Such moms are likely to respond to positive brand messages that “give her permission, support the idea that you’re not being selfish if you take time out to see a doctor or get a massage or even something as simple as a pedicure,” she said. Globally, mothers list patience as the most important characteristic for a “good mother” to have. It was the only attribute worldwide that a majority of the mothers surveyed agreed was necessary. One common characteristic of most moms around the world — 81% — is a dependence on women like themselves for advice and comfort. The study refers to these women as “Frexperts,” trusted friends with the right expertise — though they’re not always technically friends. Instead, they can be “people in the social space who look like her, act like her, make decisions in the same way that she does, so she’s trusting them sometimes as much as an actual friend or an actual family member,” Stripling said. While a brand can’t become a frexpert, Stripling added, “they can take on that tone,” and brands that understand the needs and concerns of mothers may find they’ve gained an effective spokeswoman of their own. “Many women feel that it’s their responsibility or their duty to inform loved ones and friends and family of their own past experiences so that the people around them can be better prepared as they make some of these decisions,” Stripling said. But Stripling cautions brands against using women’s concerns against them. “Her insecurities are off limits. They’re real, and they run deep,” she said.